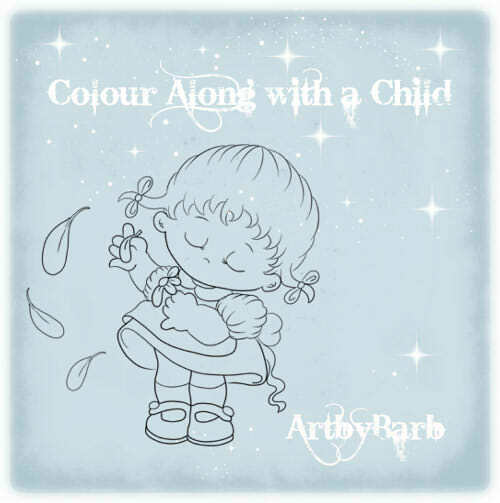 At the beginning of every month we launch our Colour along with a Child Challenge and this month's free image is available upon request at Art by Barb Facebook Group. Not all children want to colour, some do like to resist which will be futile with our few handy tips to encourage children to colour and get creative. Introduce Colour along with a child challenge as a reward and spark their interest in colouring. Make the materials available and easy to access. Choose an interesting variety of paper textures, embellishments and coloured pencils, pens and crayons. Start colouring yourself. When they see how much fun you are having, they will want to join in. Such a cute image ! I will definatly join again with my daughter ! Always fun to colour together !